Hello to you all, hope you're all well and looking forward to the weekend; I know I am. Today I've finally been able to get hold of a really amazing dupe for Miss Dior Cherie which I've been searching in Next for, for ages. 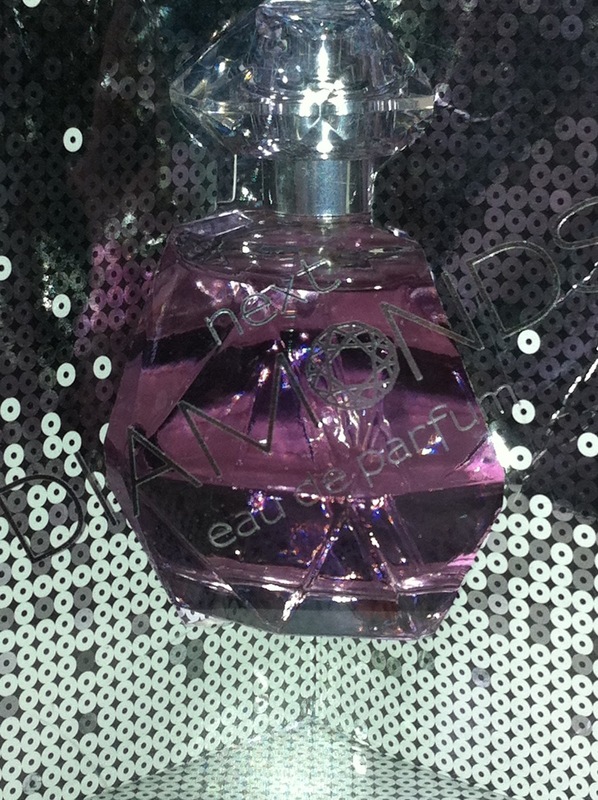 It's the Next Diamonds perfume and it retails for a purse friendly £10 for 75ml edp - amazing. 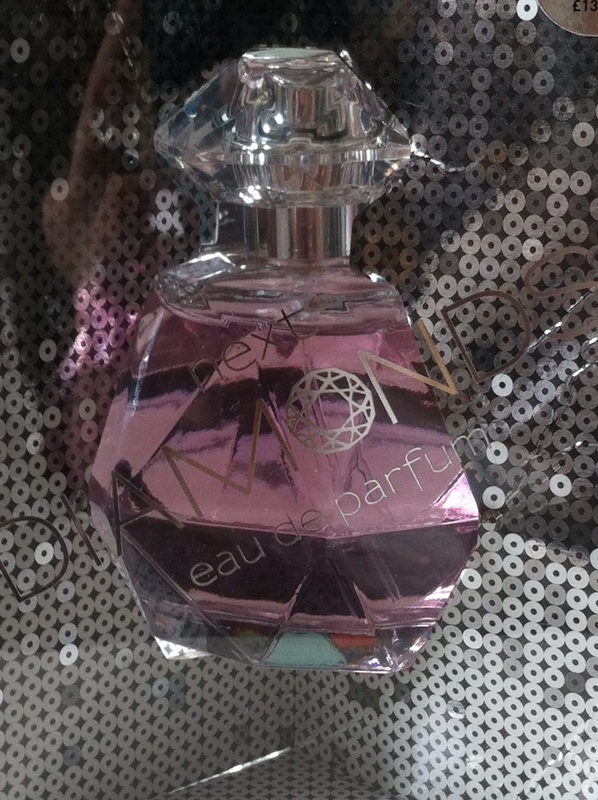 I first smelt this perfume in the locker room at work and I searched the entire store to find the colleague to ask her what she was wearing; not only was I delighted to find out, I was delighted with the price. I'm a long time fan of Miss Dior Cherie, but I cant bring myself to reach for it more than a few times a year due to the sheer cost of it. It's my very special occasions scent, which is sad in a sense because it's an amazing scent I'd love to enjoy all year round. Next Diamonds means I can now do this without breaking the bank. The blurb says it is 'An opulent white floral fragrance entwined with fresh fruit nectars and crystalline musks'. This means nothing to me, I'm not a fragrance connoisseur I just know what smells good. This smells good. 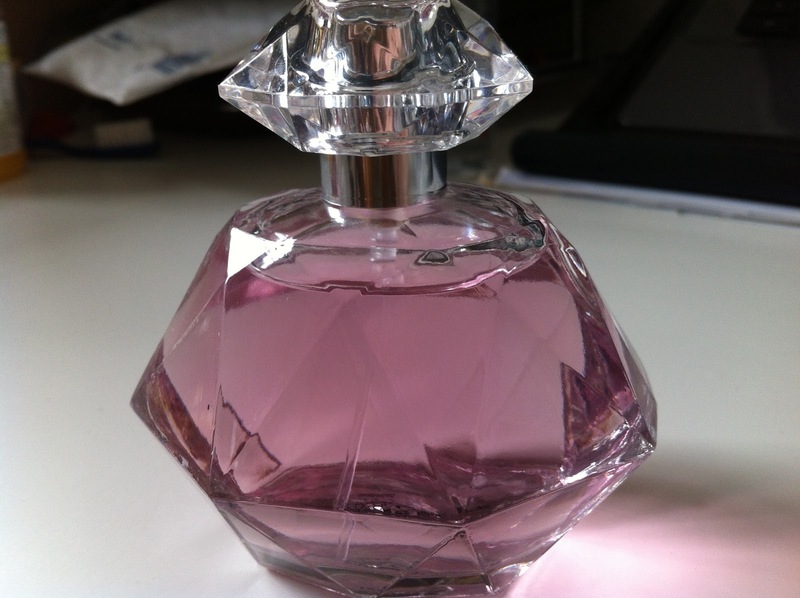 I'd say it's fruitier than Miss Dior Cherie which I like as it makes it a much younger fragrance. Also, because its an EDP the scent lasts so long on the skin that you don't need to constantly be topping up which means the bottle will last a while - saving even more money. I just think its the nicest high street fragrance I've smelt in a very long time and I think Next are on to a real winner with this one and I really hope they never discontinue it. Packaging wise, it's nothing to shout about but it's not ugly either. 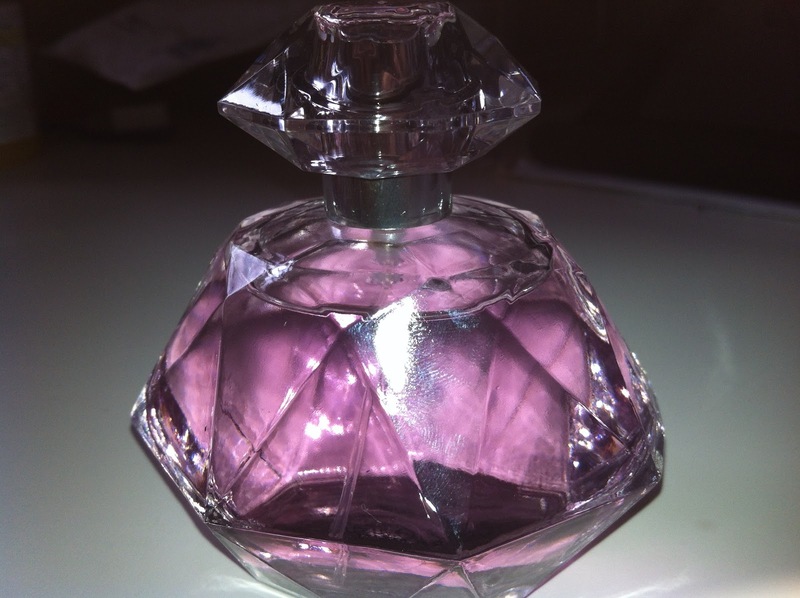 To fit with the Diamonds name it's a clear glass, faceted bottle filled with lovely pink perfume; nice and simple. Being completely honest, given the price I'd expect nothing more but it's nicely packed and you can't really complain about it to be honest. Sturdy and simple; what more do you need? Have you tried Next Diamonds or do you know of any other perfume dupes? I'd love to hear from you all! Questions and comments are more than welcome as always!